Clinical trials of new medicines and therapeutic regimens in childhood renal disease, nephrotic syndrome, kidney transplantation. Nick graduated from the University of Nottingham in 1986 and trained in Paediatric Nephrology in Melbourne, Brisbane, Toronto and Manchester. He was appointed Consultant Paediatric Nephrologist at the Royal Manchester Children’s Hospital in 1994 and appointed Honorary Professor in Paediatric Nephrology at the University of Manchester in 2013. He is a Fellow of the Royal College of Physicians and the Royal College of Paediatrics and Child Health. His current research grant income is in excess of £2.5 million and he has written over ninety peer reviewed medical publications. His major area of research interest is in clinical trials of new medicinal products in children with renal disease. He is Principal Investigator for the PREDNOS and PREDNOS 2 studies, both NIHR HTA funded national multicentre studies comparing different prednisolone regimens in children with steroid sensitive nephrotic syndrome. 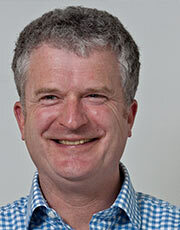 He is Director of the NIHR Wellcome Trust Children’s Clinical Research Facility and Deputy Director of the Greater Manchester, Lancashire and Cumbria Medicines for Children Local Research Network, both based in the Royal Manchester Children’s Hospital. These organisations were recently awarded the Pharma Times Clinical Research Site of the Year 2012, jointly sponsored by the NIHR and the ABPI. He is the editor of Clinical Paediatric Nephrology (3rd Edition) and the Oxford Specialist Handbook of Paediatric Nephrology (1st and 2nd Editions), two major textbooks of Paediatric Nephrology published by Oxford University Press. He is also on the editorial boards of the scientific journals Pediatric Transplantation and BMC Nephrology.